It was a wet one this year! Thankfully we knew that ahead of time and took advantage of the nice weather the day before to take some pics of the kids in their costumes (Sully & Mike Wazowski) at a nearby pumpkin patch. We also arranged with a few of our neighbors a little Halloween eve trick or treating! This worked out perfectly as the weather was great and we were able to keep it short and enjoyable for both kiddos. The day of Halloween it was cloudy but dry until the sun started going down...aka the beginning of trick or treating. Ryan and I made it to one neighbors house before having to turn around and come back for the umbrella and rain boots. Thank goodness we did, because the rest of the way it rained and rained hard. We really only made it to the end of our street and back and my little monster was drenched! Our decorations were a big hit as always! Although they did miss the scary clown, my mom, who was not here this year. All in all it was a wet but good Halloween. It was not the best day for a walk. 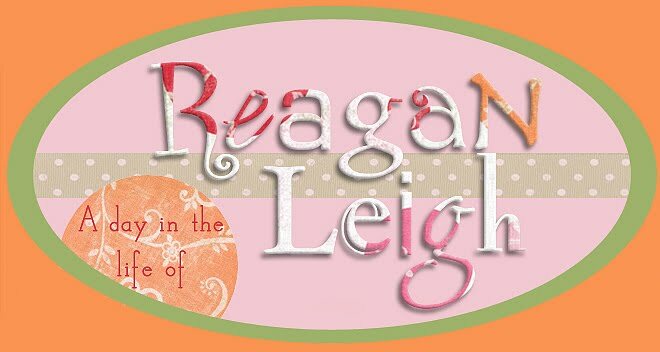 Reagan was on the verge of a bad day and there was rain in the forecast. We had her dressed and ready but ended up having to leave Reagan behind with her nurse. She was just too stressed. It rained a little on our drive there, but held off long enough for the walk. It actually turned out to be nice, it was overcast so it was cool and there was a nice breeze (which Reagan would have hated). Reagan's little friend Carley joined us, which was so sweet, because she knew in advance that Reagan wasn't going to make it but she came anyway to represent for her friend. Reagan's teacher and her family came too, which was nice. My mom drove in for the walk as well as three of Mike's sisters and their kids and my dad and step mother. It wasn't our biggest group, but not a bad showing considering the weather. The rain started up right after the walk so we all headed to breakfast. We didn't stay long, as we had to get back home to Reagan, but it was nice to get to talk with everyone for a bit. Reagan got worse as the day went on and escalated to a "bad day". It was unfortunate that she had to miss but I guess there's always next year. 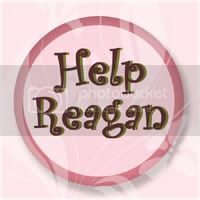 You can still donate if you'd like by clicking this link to Team Rallying for Reagan. I will post more later about another opportunity to donate toward a cause that could help Reagan directly in the very near future!